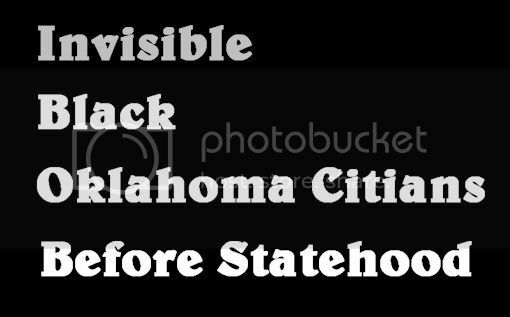 This post honors Black History Month with three stories about Invisible Black History in Oklahoma City before statehood, and largely tracks my presentation to RetroMetro OKC at the downtown library on February 17, 2014. A few additional materials and resources are provided here. This post is still being constructed. Part 1: Introduction -- Why Is Pre-statehood Black History Invisible? The video for the Introduction is broken into two parts, for faster loading and quality purposes.